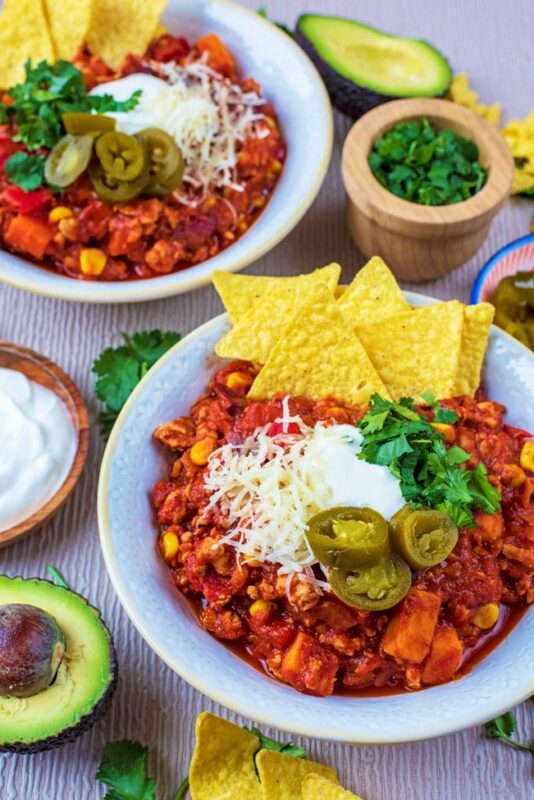 Ohhoo turkey chili look so gorgeous & too much delicious! Its a perfect dish for my whole family. I can`t wait anymore, thanks for nice post. 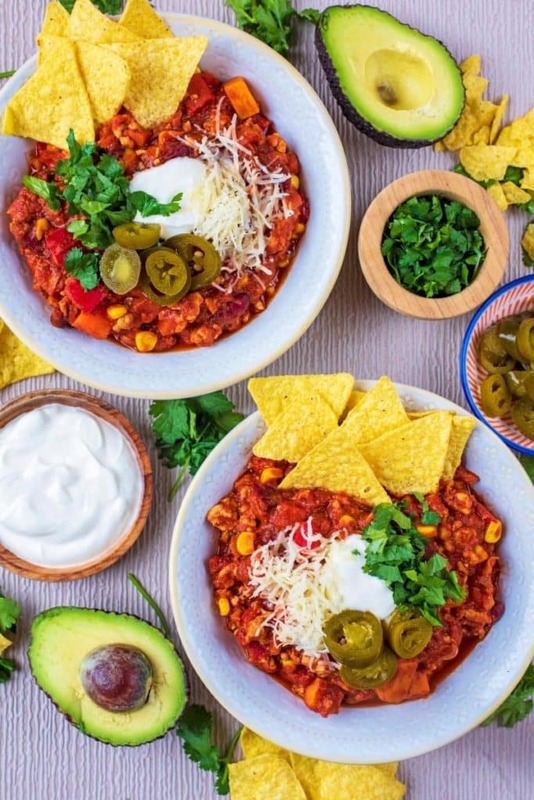 I like the idea of turkey chili, the avocado garnish and serving it over rice is something I’ve never seen. The addition of cinnamon seems dangerously tasty. 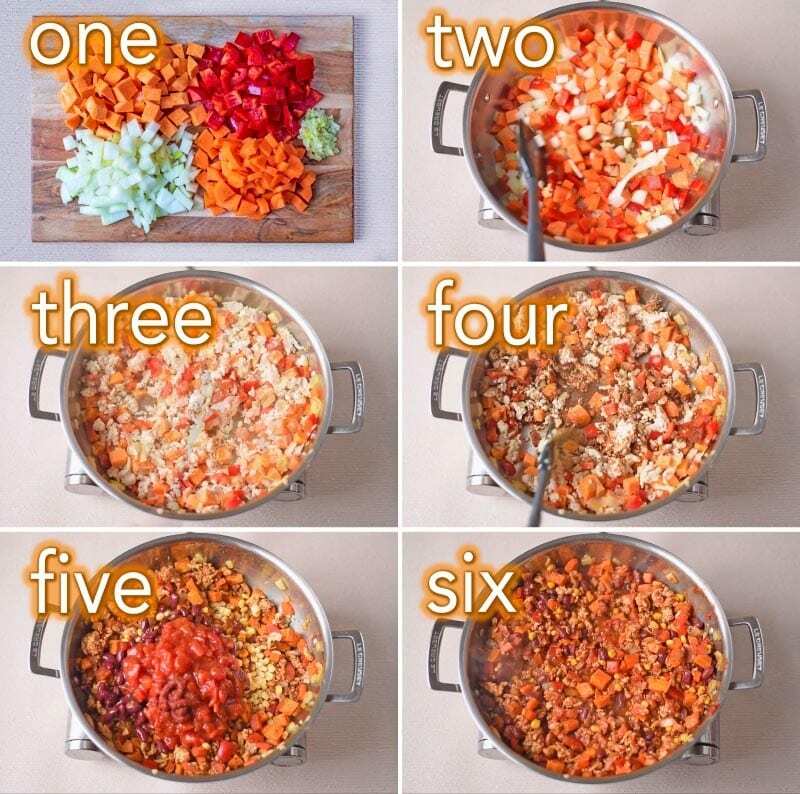 I really like the idea of serving chili over rice! Unique. My mother-in-law makes turkey chili all the time but I haven’t yet. Definitely a healthier spin! That looks really good. I don’t eat mince, so chilli with turkey sounds like a fab alternative. 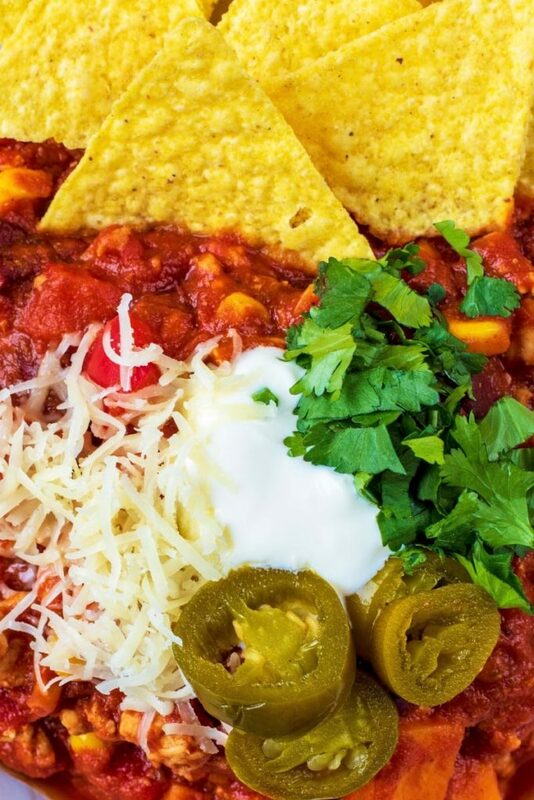 Chili is the perfect winter/cold weather dish! Love the lightened up turkey version and the rice! Oh my goodness this sounds right up my street, I would absolutely love to try it! I love how you served your chili over rice! Rice is a great complement to the flavors you have going on. Yum! YES to all the winter warmers, Dannii! It finally got cold here, so a big ‘ole bowl of chili sounds perfect! I always add a bit of chocolate to Boy’s chili (can’t to mine because of my allergy), so I don’t think it’s weird at all! He loves it that is for sure! Can’t wait to try this! Cheers! I am veggie, so I can’t really comment on the food, but I do like your pictures. It’s my first visit to your blog: congratulations on losing so much weight! Very impressive. Oh this turkey chili looks amazing! 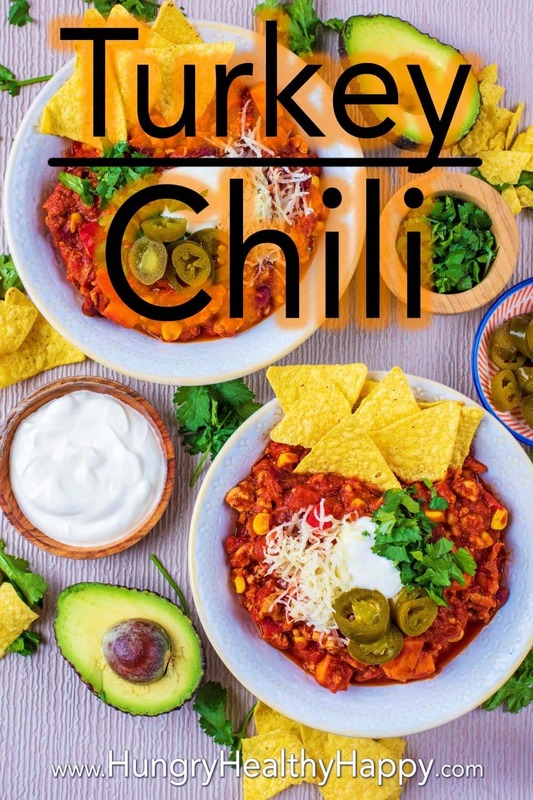 It’s finally getting cold here and I would love to cozy up with a big bowl of this chili. Such wonderful flavors in here! I’m all about the Winter Warmers at the moment! Genius idea to include a pinch of cinnamon – will definitely try in our next chilli.